Winning Times © 200? Bally Tech., Incorporated. 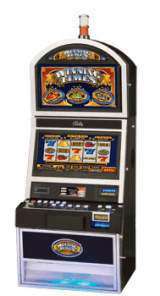 5 Reels, 20 Lines video slot, 1,000 Credits Max Bet.